OBJECTIVE // To create an adapter that could mount on a bicycle that would allow a rider in an underdeveloped area to ride up to a water source, start pedaling backwards to pump and filter the water, and then simply pedal away. Derived from a passion for bikes and development work, I approached my friend Josh Gilberts with the idea of pumping and filtering water for underdeveloped countries using the mechanical efficiency of a bicycle. Though the idea had been explored be others before, we sought to develop a mechanism that emphasized simplicity. We designed an adapter that attached to any bicycle, turning it into a tricycle and allowing the user to pedal forward to move the trike, and simply pedal backwards to pump water through a filter, then just ride away with the water. After entering the project into the University-wide Innovation Days competition, we received some invaluable input and support and made some dramatic changes to our design and business plan. We changed the business model to a modular, for-profit and community-based business that ensured profits were fed back into the community. 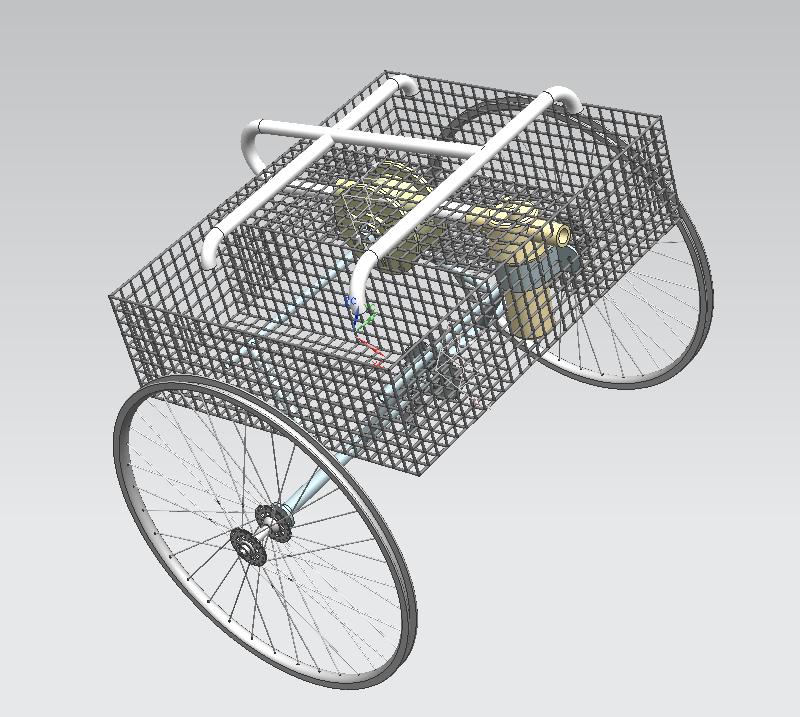 Additionally, we changed the design so that it could be fabricated using recycled bicycles, which not only minimized cost and waste, but also allowed for a point-of-use fabrication program where people could exchange bicycles for a PureWater Trike at a lower cost. We entered this project in the Global Stewards Sustainability Prize and were very fortunate to receive a Grand Prize and $17,000 award. The funding has since helped finance an assessment trip to Ecuador, alongside fellow student Natalie Cook, to gauge the potential for implementation of the project in the area, in addition to construction of a Biosand filter at the Reserva Lalo Loor. I used NX 7.5 to construct the CAD models that we used to plan out the prototype of our design. We entered our design into Innovation Days and then the Global Stewards Sustainability Prize competition.